The B.C. 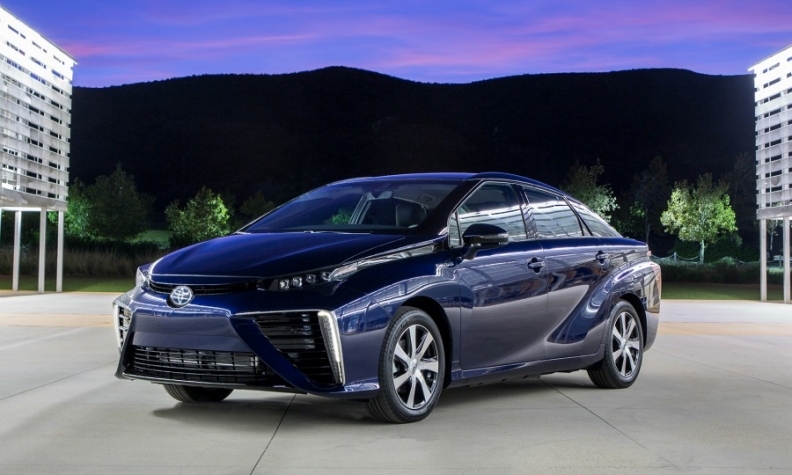 government provides $5,000 toward the purchase or lease of battery-electric and plug-in hybrids, and $6,000 for hydrogen cars such as the Toyota Mirai. British Columbia’s clean-energy incentives program is finding favour with dealers who say it will help them sell more electrified vehicles. The program allows residents, businesses, non-profits and local government groups to save up to $5,000 on the purchase or lease of a new battery electric or plug-in hybrid vehicle, and up to $6,000 for a hydrogen-fuel-cell vehicle. For qualifying electric vehicles, the incentive can be combined with the SCRAP-IT incentive program for an additional refund of up to $3,250 if a buyer scraps an older vehicle. Only two other provinces — Ontario and Quebec — currently offer “green” incentives. The New Car Dealers Association (NCDA) of B.C. supports the commitment to expand clean energy vehicle point-of-sale and infrastructure incentives as part of the provincial Climate Leadership Plan. Incentive programs and NCDA have given the province the highest clean-energy-vehicle usage per capita in Canada. B.C.’s original LiveSmart program began offering rebates up to $5,000 per eligible clean energy vehicle on Dec. 1, 2011. Funding for it ran out in February 2014. The new plan, in place since April, includes expanded support for the purchase of electrified vehicles and the BC SCRAP-IT program as well as support for infrastructure, education and economic development initiatives. The NCDA “applauds” its balanced approach to reducing greenhouse-gas emissions and building on initiatives like the clean energy vehicle incentive programs, said Blair Qualey, president and CEO of the NCDA. “Programs like Clean Energy Vehicles for BC and BC SCRAP-IT have helped British Columbia become a national leader in clean energy vehicle usage and all of us in the industry, including dealers, vehicle manufacturers and other key partners, look forward to ... maximize the effectiveness of these investments." He said buyers want a low-emission vehicle that meets their needs, not opt for a product based simply on the size of the available incentive. “B.C. drivers seem to have embraced that philosophy and we have experienced robust sales of hybrids and other fuel efficient low-emission vehicles. Without the challenges posed by range, refuelling, cold climate or size of vehicle, we believe hybrids still represent the most realistic greenhouse gas-reducing advanced technology suited to the Canadian driver,” he says. Chad Heard at Hyundai Canada said Hyundai doesn’t expect a big change in hydrogen fuel cell vehicle sales, although interest is definitely there. “We’re at the limit of the infrastructure for hydrogen vehicles in B.C.,” he says, although plans for at least one more fuelling facility are in the works. The incentive program should be beneficial for sales of the Ioniq battery electric vehicle coming soon, to be followed by a plug-in version next year. General Motors Canada spokesman George Saratlic said the company is serving the growing electric-vehicle market with cars such as the Chevrolet Volt and Bolt EV, coming later this year. B.C. is taking “the right approach” by recognizing that consumer adoption of EVs requires a coordinated focus on new technology, improved recharging networks and consumer incentives. The expanded support will help more people participate in the program when making climate conscious decisions. Luxury vehicles priced higher than $77,000 are not eligible for incentives. Supporting alternative and more fuel-efficient vehicle technology was a key component in the province’s On the Move 10-year transportation plan to improve B.C.’s transportation network. Ontario boosted its electric-vehicle support last February, raising incentives to between $6,000 and $10,000 for EVs with up to $3,000 more for vehicles with larger battery capacities and another $1,000 for vehicles with occupancy for five or more. There’s $1,000 more cash available for the purchase and installation of chargers for home or business. Incentives for vehicles priced between $75,000 and $150,000 is capped at $3,000. Quebec’s program provides $8,000 for all EVs while plug-in hybrids qualify for $500, $1,000 or $8,000 depending on battery size. Low-speed EVs qualify for $1,000 and gasoline-electric hybrids $500. The federal government does not have a green vehicle incentive plan.